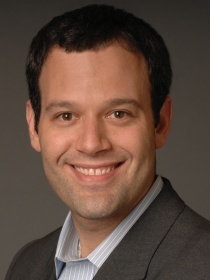 NEW YORK: Allison+Partners has appointed former Cohn & Wolfe digital executive Jeremy Rosenberg as SVP and global head of digital media, a newly created role at the agency. Rosenberg, who started in the role May 13, reports to Allison+Partners president and senior partner Jonathan Heit. His duties include growing and increasing visibility of the firm's social media efforts around the world. Rather than having a dedicated practice for digital media, Allison+Partners uses a “hybrid, embedded approach” to ensure staffers across various teams have digital skills, Rosenberg explained. “My personal goal is to leverage Allison+Partners and its deep history in digital and social media to help grow the business globally,” he said. Rosenberg decided to join the agency because of shared interests and its “fantastic culture and spirit,” he added. Prior to this, Rosenberg spent two and a half years at Cohn & Wolfe, where he led the digital media practice in New York. During his time at the WPP Group agency, he oversaw integrated communications initiatives for many large brands, including Walmart, Panasonic, and Nokia. He also created Cohn & Wolfe's global digital and social media training curriculum. Before that Rosenberg spent about two years at Porter Novelli, serving as director of digital production and managing content development, digital strategy, and execution.